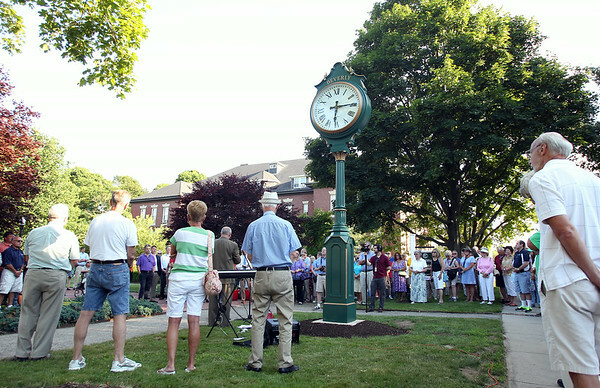 A few hundred people gathered on Beverly Common on Wednesday evening for the dedication of a large clock in honor of former Mayor Bill Scanlon's 16 years of service to the City of Beverly. DAVID LE/Staff photo. 7/9/14.